Sonic Drive-In plans to test a burger patty made with a blend of ground beef and mushrooms to reduce the meat content, a health initiative believed to be a first for a national quick-service chain. The patty will be the core of two new burgers called Sonic Slingers, one dressed with bacon, the other in the same way Sonic’s standard burger is garnished. Ground mushrooms will constitute 25% to 30% of the “meat,” said Scott Uehlein, vice president of product innovation and development for Sonic. The only other ingredient in the patty will be seasonings, according to the chain. Uehlein did not disclose the intended price. Samples of the Slingers were served during the Culinary Institute of America’s Menus of Change conference in Hyde Park, N.Y. The annual event brings together academicians, restaurateurs, college foodservice directors, nutrition experts and members of the media to brainstorm ways of promoting healthful dining outside of the home. Blended burgers are frequently mentioned during the conferences as a way of moving toward that goal. By replacing a portion of a standard burger’s meat content with mushrooms, beans, beats, prunes or other vegetable material, the fat content is reduced. The substitution is also praised as a potential way of reducing how many cattle are needed to meet the demand for ground beef. Ranching is often cited as a major strain on the environment. The patty used in the sampled Slingers was indistinguishable in taste and texture from the meat used in an all-beef Sonic hamburger. Uehlein, a CIA grad and long-term advocate of the Menus of Change program, said the idea arose during his attendance of past conferences. Consumers’ reaction to the Slingers has already been tested in focus groups. In-store tests will commence soon in markets throughout the country, the chain said. Burgers made with a blend of ground meat and vegetable matter are offered by a number of fine-dining establishments, college feeding operations and regional chains such as Bareburger. The trial by Sonic is almost certain to be closely watched by other burger behemoths. "I want to see how this whole thing unfolds," Dan Coudreaut, McDonald's executive chef and VP of culinary development commented from the stage of Menus of Change. “We hope this opens the door to a lot more conversation, and opens the door to a lot more opportunities,” said Uehlein, who recently joined Sonic after working for Canyon Ranch, a string of high-end health spas in a variety of resort areas. 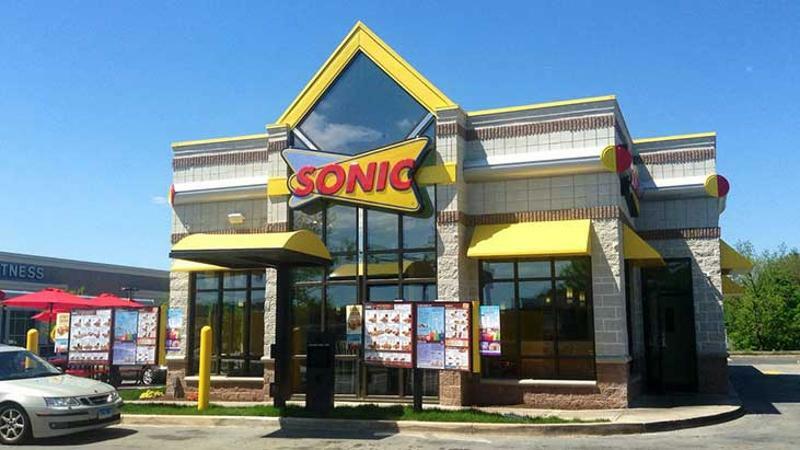 Sonic, a 64-year-old business, is the operator or franchisor of about 3,500 drive-in restaurants in the continental United States.